It’s a marathon not a sprint! I’d need more than my hands and feet to count the number of times I’ve heard or read that saying over the years of doing voiceovers. And if a saying crops up repeatedly it’s usually because it holds an element of truth! I’ve always been mindful of the quote but never had true experience of the analogy…..until now! 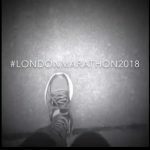 I’m currently training for the London Marathon coming up very soon in April 2018. You may have seen my increasing posts on social media?! The next 3 weeks will be my biggest challenge yet as the training plan peaks at an incomprehensible 22 miles (ouch!). Although daunting I keep reminding myself that this follows months of a carefully tailored physical training programme; mentoring and training tips from both professionals and those that have done it before; a change of diet to make sure we’re in tip top shape when we need to be, and medical intervention to help those worn muscles! And after all those months I will quite simply be delighted to just get round and be able to say “I’ve done it!”. After all….you can’t expect to win your first time round can you? And there in lies the truth to the analogy in the world of voiceover! You can’t expect to walk into an audition and win your first gig without the background work. There’s no question you need that training programme, the coaching, the mentor(s) and support from your peers. And don’t underestimate the physical stamina it takes to maintain control of your breathing in a session, the change in diet you might consider to minimise mouth noise and maximise your performance and YES, you need to exercise and take care of the dozens of muscles you use to speak! It is indeed a marathon and not a sprint….I can say that with conviction now….but the prize is still there for the taking with the right plan in place. If you’re considering starting out in the world of voiceovers I’d highly recommend checking out the free Voiceover Kickstart course run by Guy Michaels: https://www.voice-reel.com/vok-signup/ – it’s fun, free but more importantly opens your eyes to the ‘marathon’ that lies ahead. I’ll be sure to post an update of how we get on – thanks in advance for your support! And feel free to let me know how you’re getting on with your voiceover journey. I’m always happy to connect! Thanks for checking in Steve!